When cleaning tile floors that have been colour sealed, the first step is to determine what is the right type of cleaner for your floor. 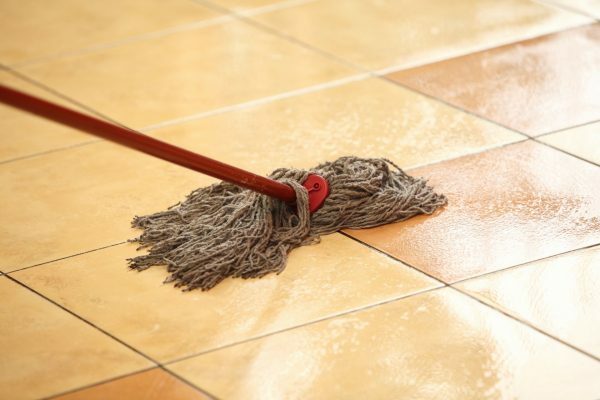 When cleaning tile floors, it is essential to use neutral or alkaline cleaners, as these types of cleaners are necessary to effectively clean protein-based soil. For best results in cleaning colour sealed grout and tile floor, we recommend buying a high quality commercial neutral concentrated cleaner or alkaline-based concentrated cleaner for heavy build up. Our friendly, knowledgeable team is ready to assist you with any tile or stone surface problems you may be having. Website Design by Intrigue Media. Additional accessible formats for this information are available upon request. Contact Us for more information. Copyright © 2017 Strassburger Tile Perfection. All Rights Reserved.